1. 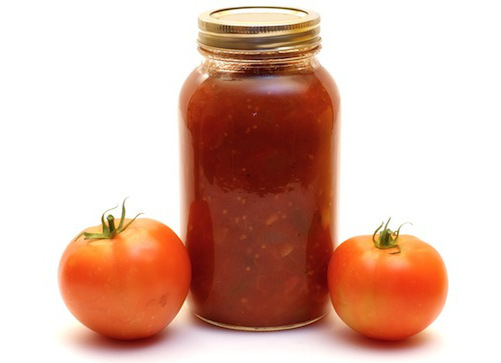 Wash and rinse half-pint canning jars; keep hot until ready to use. Prepare lids according to manufacturer's directions. 3. Combine all ingredients in a large saucepan and heat, stirring frequently, until mixture boils. Reduce heat and simmer for 10 minutes, stirring occasionally. 4. Ladle hot into clean, hot pint jars, leaving ½-inch headspace. Remove air bubbles and adjust headspace if needed. Wipe rims of jars with a dampened, clean paper towel; apply two-piece metal canning lids.